The 117th U.S. Open Championship is coming this June 12-18 at the Erin Hills Golf Club in Erin Wisconsin. 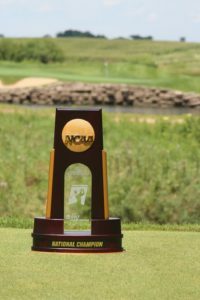 Now in advance of the championship there are new ways for you to see Erin Hills the home site of the championship. VIDEO’s of the course hole-by-hole have begun to play on Erinhills.com. 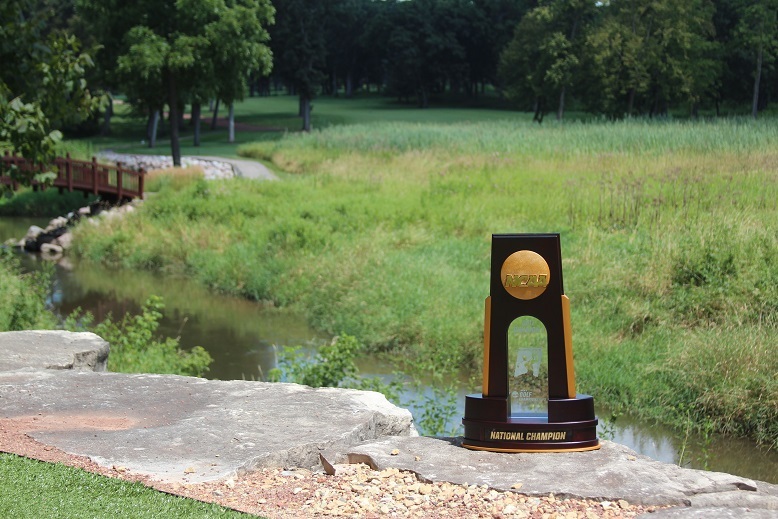 Each week there will be new addtions and before championship week, you will be able to see all 18 holes of the course. Even if you have played the course before, here is a new way to see the course in these aerial footage video’s. Check out the first few holes today. The new book on Erin Hills is a book that incorporates the old book on Erin Hills and what June of 2017 will look like when the U.S. Open and the USGA take over Erin Wiscosnin for a week. 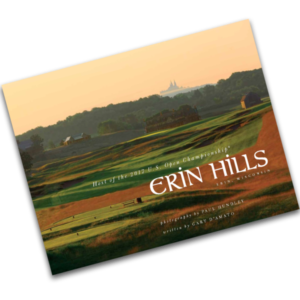 Long time Wisconsin golf writer Gary D’Amato of the Milwaukee Journal Sentenial, along with Paul Hundley one of the best still photographers in golf, have combined on this coffey table style book that will give you the inside of Erin Hills. Now on sale $45.00, with a shipping date of late in April. Or if you are going to the championship, you can purchase a copy in the merchandise tent, at select times D’Amato and Hundley will be signing copies of the book in the tent, during open week. The US Open Trophy overlooks the Par 4, 15th hole of Erin Hills. TICKETS who needs two? or maybe more. 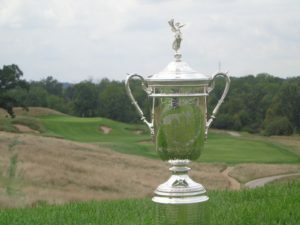 Well right now you can still purchase tickets to this years US Open online at USGA.org/tickets. You can purchase tickets for both yourself or for corporate needs. Ticket for the US Open of golf are muchbetter priced than most other major championships in sport. So why not get them today while they still last, the remaining tickets are going quickly so get them today. Erin Hills will reopen for public play after the championship, and was recently rated the 44th Best Course in America by Golf Digest Magazine. 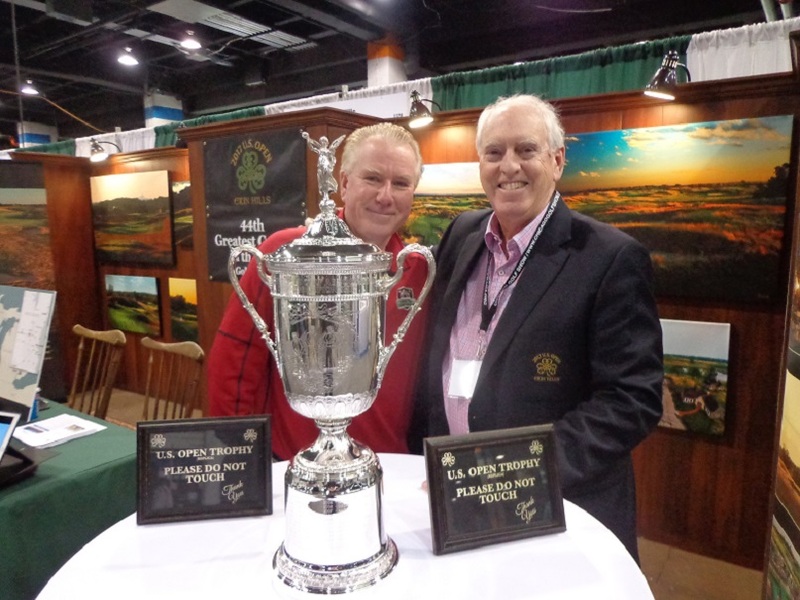 GOLFERS ON GOLF RADIO RETURNS SATURDAY APRIL 15TH AT 9 AM…….. THE GOG BLOG by Rory Spears, Editor and Director of Content. Follow Rory on Facbeook, Linkedin & Twitter @GogBlogGuy. (R) The Mistwood Performance Center. 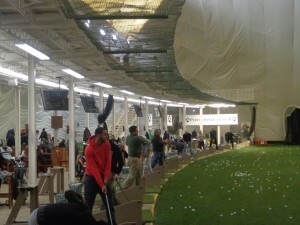 Today Callaway Golf came to the Mistwood Performance Center, and with Callaway came an afternoon with an Epic style. If you haven’t heard of the GBB Epic driver since it’s release ealy in the year, where have you been. Well tuned out of golf. 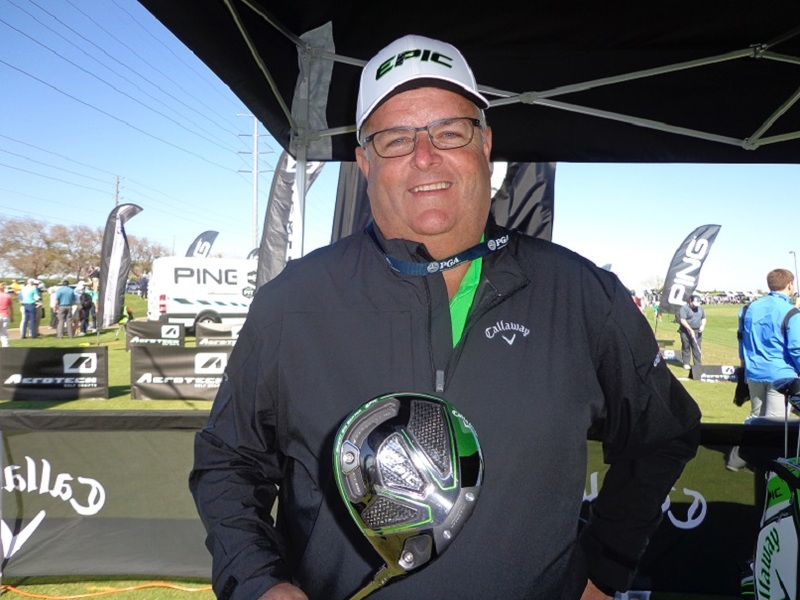 GBB (Great Big Bertha) Epic is hottest driver on the market and it’s results on and off the various professional tours is amazing. 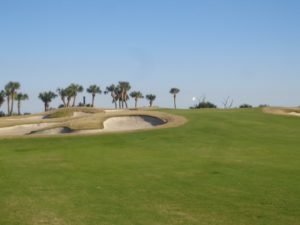 The pro’s under contract or not, are playing it and winning with it, amateurs regardless of handicap are getting a bump in distance off the tee. Some of them getting as much as 30 yards, the test results say. The letters say it all EPIC, get ahead with Epic, and put a hat on it. On the professional tours, wins are up for players using Epic, other players that haven’t won, are shooting lower scores, which mean more money and better status on tour. WHAT IS EPIC. Callaway Golf explains it as such. Epic is a breakthrough in something called JAILBREAK TECHNOLOGY. What’s Jailbreak Technology ? It’s how the head of the driver reacts to the increase in ball speed and distance. At impact, the crown and sole of the driver want to expand and seperate, that will lower the energy rate. 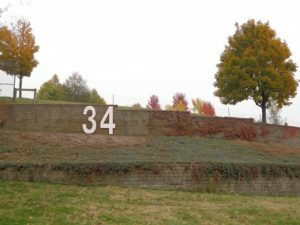 Jailbreak positions two 3g titanium bars behind the face of the club. The Jailbreak look behind the new Callaway Epic Driver. This Jailbreak titanium bar design, does stiffen the body and transfers more of the energy back to the face of the club, which in turn creates more speed and longer distance on each and every swing. But Jailbreak and the two 3g titanium bars, don’t tell the entire story about Epic. Interchangeable weights of 2g and 12g adjust the spin rate and the launch angle. You can put the 12g up front to lower spin, or in back for higher launch and higher MOI. 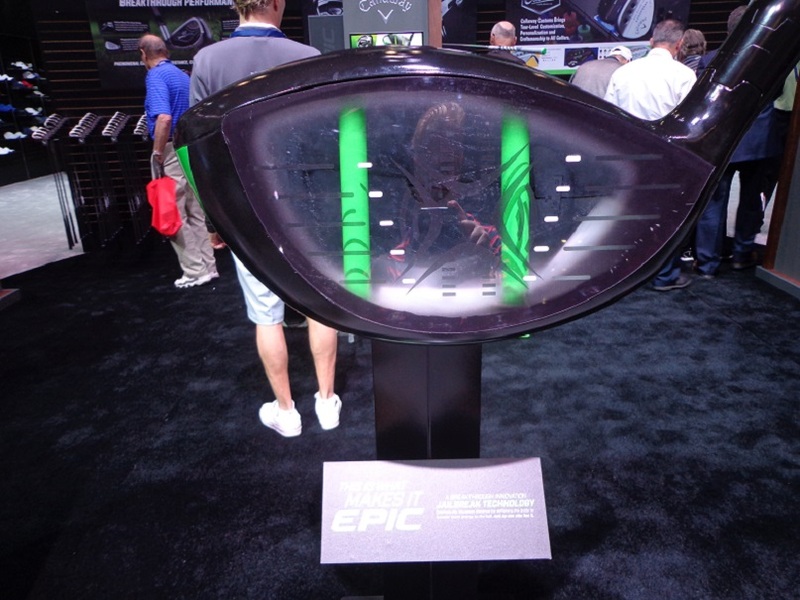 The Epic is part 2 of Callaways more aerodynamic clubheads, that stem from Callaway’s connection with Boeing, yes that Boeing, The airplane people. Remember the airplane people. They really started something. Epic’s adjustable perimeter weighting, which now slides a 17g weight along a redesigned track, can help you fot Epic to your swing features. This can provide you with 21 yards shot-shape correction for better control and more distance when you need it. Adding more distance these days can be a tricky concept, as many of the best drivers in golf and their clubheads, are up against the wall in limits set by the USGA. Which is why the shaft you put in your driver is more important than ever before. Callaway now offers four high level of performance shafts in four weight classes. 40g, 50g, 60g, 70g, including Fujikura and Rogue. Add in the Callaway Face cup technology, the Ultra-light Triaxial Carbon Crown, variable adjustable weighting, and you will see why the new Callaway driver, is one of Epic design, and can make an Epic sized change in your game if you are open to putting one in your golf bag. The world of wedges was front and center at Callaway day, with world famous wedge designer Roger Cleveland in the house, to talk the Mack-Daddy and MD3’s. Custom wedges are becoming the way golfers approach improving their short game, which is the key to lower scores. At Callaway you can create a personal touch to your wedges with a variety of stamping concepts, that include letters numbers and symbols. What’s your color, Callaway wedges can be chrome or black. The Mack-Daddy 60 degree Lob-Wedge in chrome with personalized stamping is in the photo above. Since the launch of the MD3’s, Cleveland has created more changes in the wedge line, one of the winner’s in the new designs are what’s up with the ladies line, where some of the new wedge creations are taking hold. 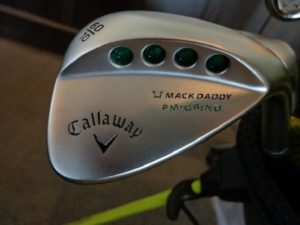 If you wish to create your own set of custom wedges visit Callawaygolf.com/callawaycustoms. 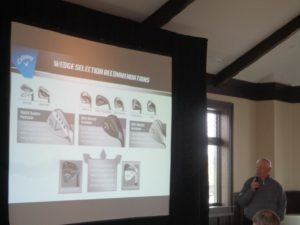 Roger Clevelands new Mack-Daddy wedge will install a new level of confidence for golfers, especially around the green where they use wedges the most. To hear directly from Roger to visit Callawaygolf.com and watch the Mack-Daddy video with Roger. He sums it all up in less than two-minutes. But tour inspired square toes, and a new straight leading edge on the .R. C-grind could be what’s needed for your game. A new lower leading edge should give your shots more stopping power on the green. The heads are in a 1025 carbon steel, and come in colors that pro and amateurs alike will love. (watch the video with Roger). Callaway is making improvements to their irons, and has upgraded their lines in the putting world, with both Odyssey and the addition of Sean Toulon custom putters. If your game is ready to try the products that made the biggest impact at this years PGA merchandise show, check out Callawaygolf.com, or visit your local golf professional or golf retail store. 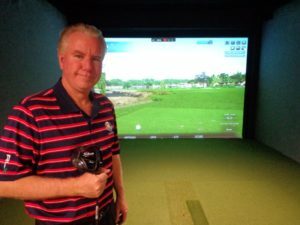 GOLFERS ON GOLF RADIO-RETURNS SATURDAY MORNING APRIL 15TH, 9 AM. At McQ’s Dome, the Blackhawks game on tonight vs Tampa Bay. The Gog Blog by Rory Spears, Editor and Director of Content. Follow Rory on facebook, linkedin and twitter @gogblogguy. 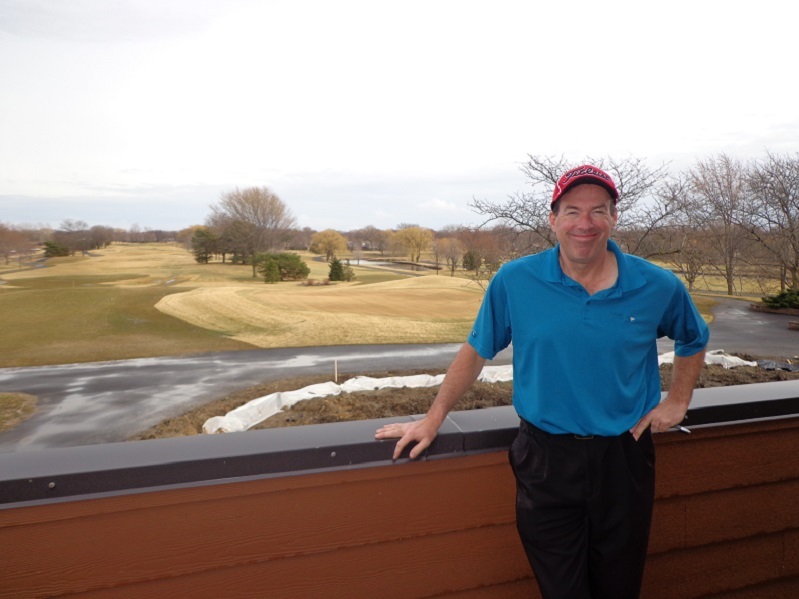 AFTER A COLD and rainy weekend, golfers in the Chicago area are all looking forbetter weather to keep playing golf outside. 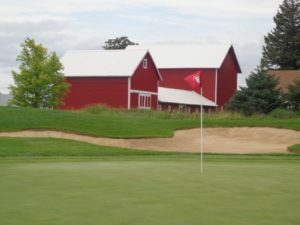 Many of the golf courses in the area are now open for the season, if you have questions on if your favorite club is open or not, please call or go online to check out if they are open. SPEAKING OF OPEN, or in this case the Women’s U.S. Open, yet another group has hired a PR firm, and is going to try and move the U.S. Women’s Open away from Trump Bedminster. A note to both Color of Change, and Ultra Violet, Give It Up. It’s not going anywhere. One other thing, quit saying the LPGA needs to move the U.S.Open, the LPGA is not in charge of the U.S. Women’s Open, the USGA who is lead by a female president is. Paul Schlimm of Callaway holds the new Callaway Epic Driver. 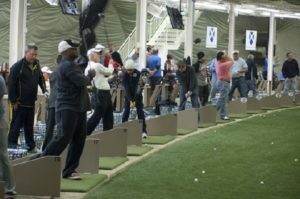 TOMORROW Callaway Golf will invade the Mistwood Performance Center , with a demo day for Illinois PGA golf professionals. The Gog Blog will be on hand to check out what is now happening with this fast moving golf company. 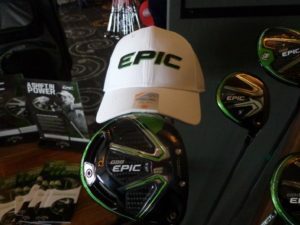 The new Epic Driver is already having good success on various professional tours, and that is not the only area where Callaway Golf is moving up in the industry. My full reports are testing out the new Callaway equipment starts tomorrow, both here and on social media sites. TOMMY’S HONOR a new movie about Old Tom Morris and Young Tom Morris, will have it’s Chicago premier on April 13th. 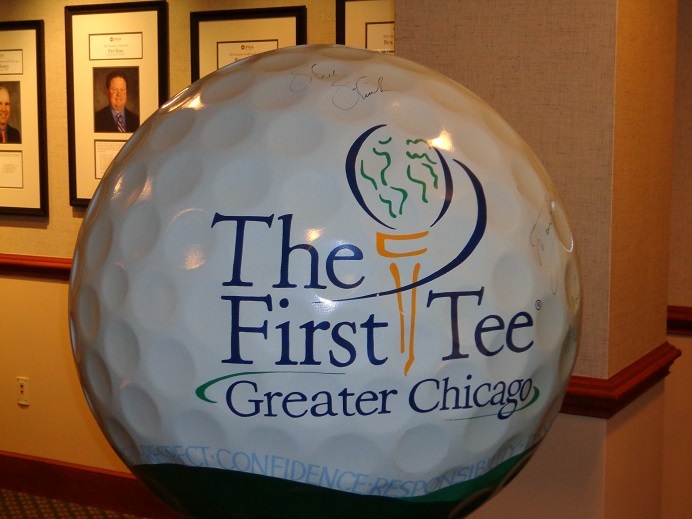 The evening complete with auctions and a visit from actors in the movie, will serve as fundraiser for the First Tee of Greater Chicago. You can now visit their website to purchase tickets to this exciting evening. NOW LESS THAN 30 DAYS until the 2017 opening of Whistling Straits in Haven/Kohler Wisconsin. Tee times at Destinationkohler.com. 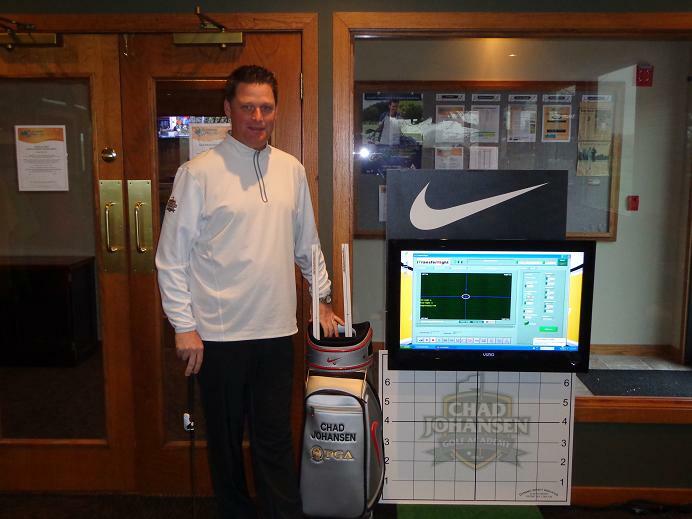 Former Nike guy and GM/Head Professional at Blackberry Oaks Chad Johansen is back and running a special Masters promotion. Can you pick the winning professional and his winning score, if you can there is some free golf in it for you at Blackberry Oaks. 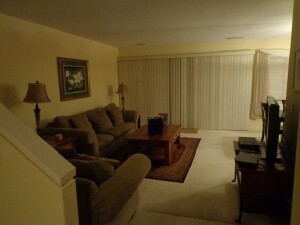 Visit Blackberryoaks.com for more details and to see other promotions. 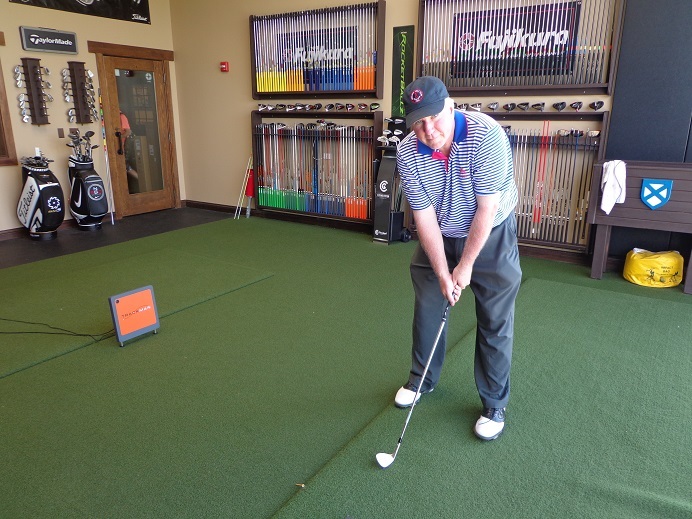 Are you ready for outdoor summer golf with a solid putting stroke, if not see Chad back in the putting lab at Blackberry Oaks, which is open for the season and carts are available. THE US OPEN TROPHY AT ERIN HILLS, the US Open at Erin Hills in Wisconsin, coming this June. WHAT’S THE BOOK ON ERIN HILLS, well you can find out by getting the new book on Erin Hills in time for the U.S. Open. Check out our interview below with author Gary D’Amato of the Milwaukee Journal Sentinnal. Gary along with photgrapher Paul Hundley have captured many of the great moments in Erin Hills history, now over 10 years old. For more on this coffey-table book, hear our interview with Gary (below). 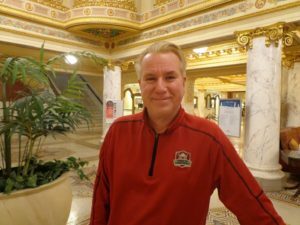 Gary D’Amato on his new book about the hisotry of 2017 US Open Course Erin Hills. LUKE DONALD has committed to play in the RBC heriatge Classic at Harbour Town the week after the Masters. 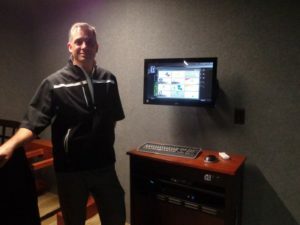 BIG 3 partner Len Ziehm has been filling up his notebook at Lenziehmongolf.com, see stories on the practice center at PGA Village in Port St. Lucie and more. Len’s columns in the A rlington Heights Daily Herald will be returning in the next week. THE GOG BLOG returns during the day tomorrow from Mistwood. THE GOG BLOG by RORY SPEARS, EDITOR AND DIRECTOR OF CONTENT. You can follow Rory on Facebook, Linkedin and Twitter @GogBlogGuy. With summer coming soon, it’s time to think about going north and enjoying championship golf and more, long into the sunlight evenings of Northern Michigan. One great way to to do that is, by booking a stay into a Boyne Resorts property. 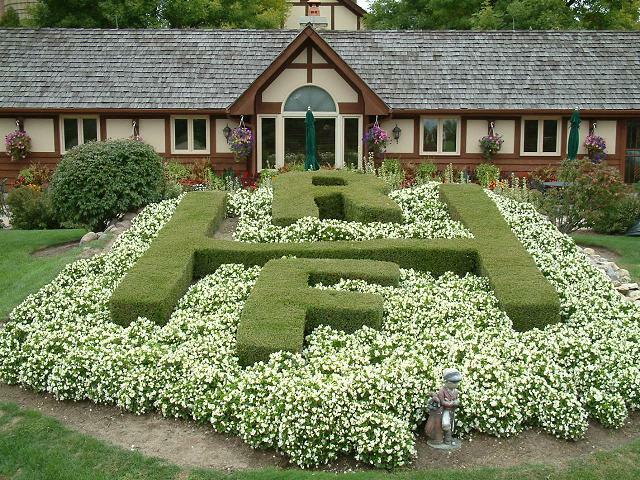 Boyne Resorts has three destination properties, within a 45 minute drive of each other. 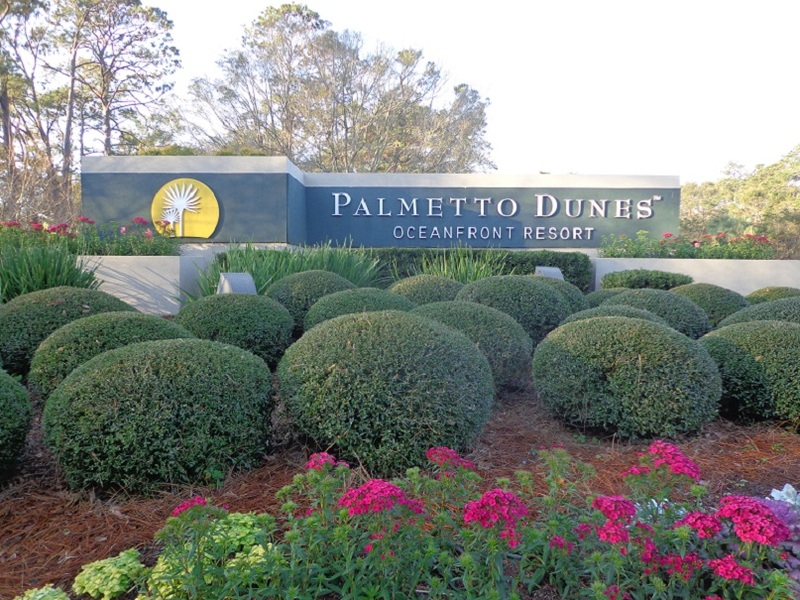 The three resorts have a combined 10 golf courses. 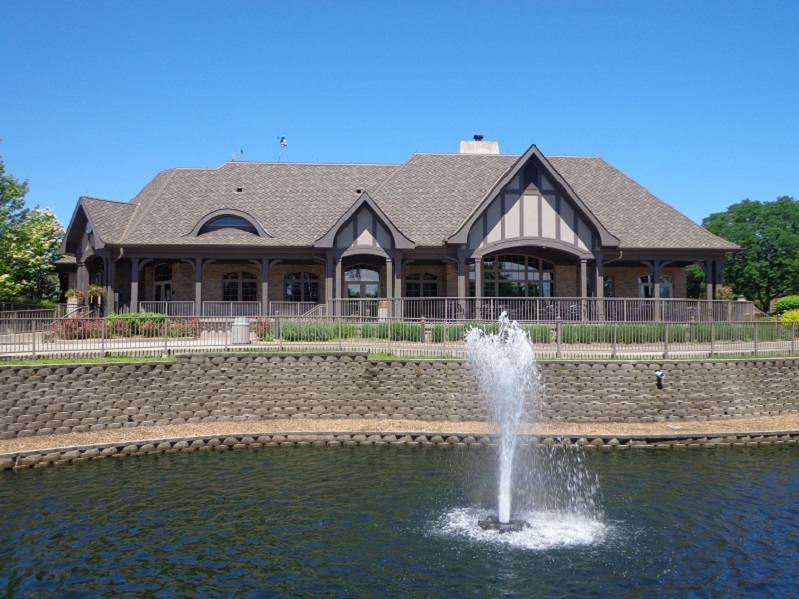 If your looking for a getaway, look into the “Great Escape Golf Vacation.” This plan started over 30 years ago is a great extended vacation, and make for a perfect trip whether it’s a couple or a group. 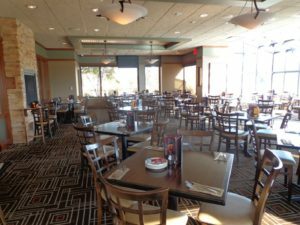 How about 5 nights lodging at Boyne Highlands Resort, with a welcome reception, gift package, with breakfasts and dinners daily. With your choice of golf courses to play. If you need more, get some Odawa Casino vouchers, spa treatments, or golf instruction. 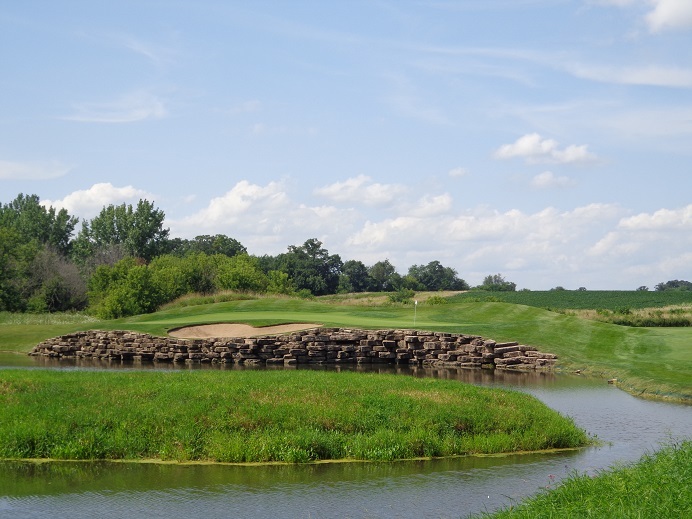 The Boyne Highlands has three courses right on property, that include the Donald Ross Memorial, the Arthur Hills Course and the Heather by Robert Trent Jones,and the Moor course is fun for all golfers. 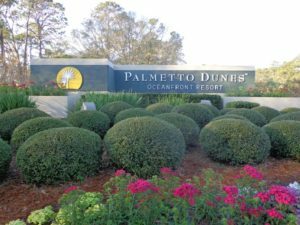 Crooked Tree Golf Club and the famed Bay Harbor Golf Club are all great golf courses, located not far from the Highlands Resort. 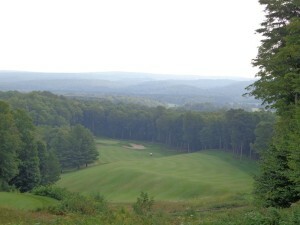 Boyne Mountain has two golf courses the Monument and the Alpine, and is home to the Mountain Grand Lodge and Spa. 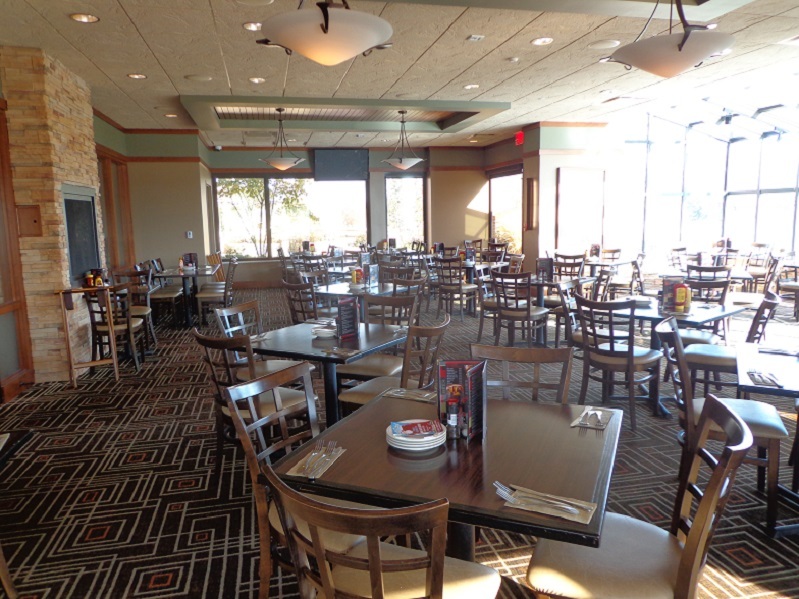 The resort is known for being family friendly, and home to the Avalanche Bar indoor waterpark. All of this can be built into your week long package. The Great Escape runs for 19 weeks starting May 7th through September 15th. Cost starts at $895.00 per person, and for more information visit Boyne.com you can email info@boyne.com or you can call (844)-634-5315. Golfers on Golf and Rory Spears at mcQ’s Dome, follow Rory on facebook, Linkedin and twitter @gogblogguy. 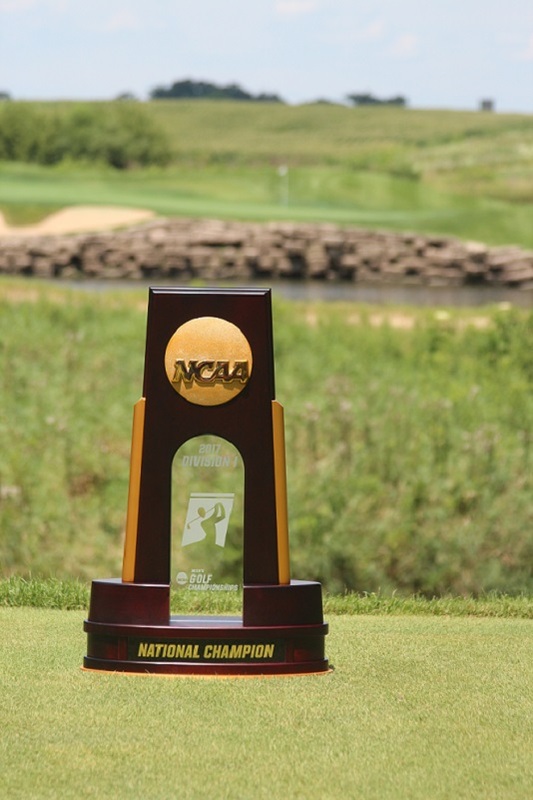 Tickets on sale for the NCAA National Championships at Rich Harvest Farms. Titleist custom putter designer Scotty Cameron has created a new version of his classic Newport Putter. This new style is a tear-drop shaped, heel shafted mid-mallet, that has both a look and feel that golfers should enjoy, especially if they are familiar with the feel and style of a Scotty Cameron putter. The Newport 3 line of putters are now in retail golf stores and pro shops around the country. With the addition of the Newport 3, Scotty has added a heel-shafted mid-mallet with a flow neck (3/4″ offest) for players who prefer a stronger toe-flow in their putting stroke. Cameron adds these thoughts on the new Newport 3. The grip is the Red Matador Mid-size grip developed to offer the comfort of a larger grip while giving the player the responsiveness and feel they are looking for. The finish is called “Silver-Mist” that projects a unique glass bead blast for a radiant, yet glare resistant, appearance. Tour inspired graphics mix the familiar three bright red translucent “cherry-bombs” with an engraved style that presents to this new high-tech line of Cameron putters. Prices in authorized Titleist shops are $379 MAP ($410 MSRP). For more information visit Scottycameron.com or Titleist.com. ON THE 18TH TEE BOX OF THE PRESERVE IN ADDISON, formerly known as Oak Meadows. Opening, day June of 2017. The Gog Blog by Rory Spears, follow Rory on facebook, linkedin and twitter @gogblogguy. GOLF SEASON, two wonderful words that so many people love to hear. It appears that the snow has left us for the next 8 months and golf season, real outdoor golf season is here. YAHOO! The courses have been sending the word to us at Golfers on Golf about opening day, and that for many courses is today. The temperature as I look out my window is now 75 degrees. If you haven’t already, get the clubs cleaned up and get ready for golf season, because it’s not coming it’s here. Even though this weekend might not be as warm or dry. 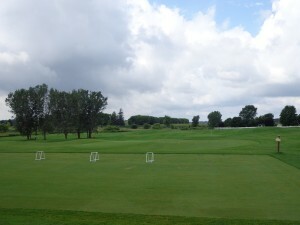 THE PRESERVE should open in June, but Maple Meadows and Green Meadows are open today, see DuPagegolf.com. The Preserve formerly known as Oak Meadows is expected to open at some point in June, if Mother nature keeps cranking out days like today. 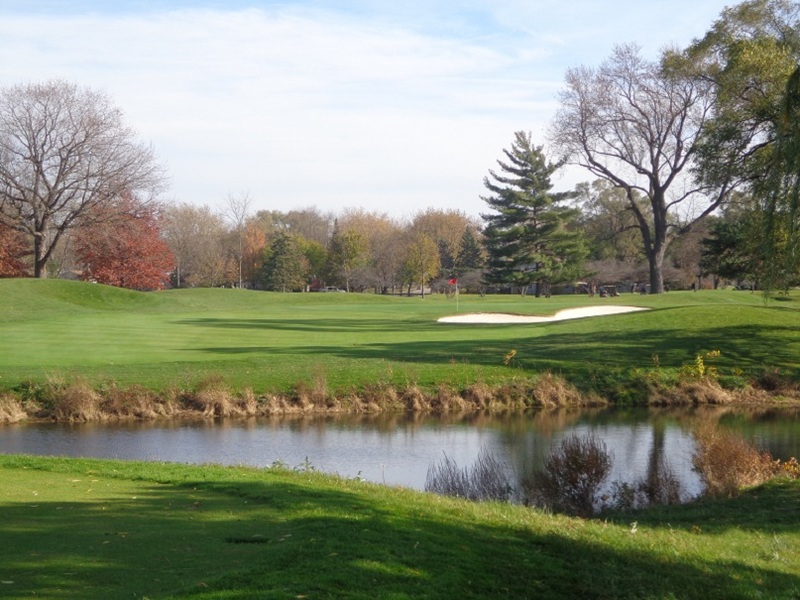 But the good news is that DuPage Golf is up and rolling for golf season. They have 27 holes of golf open as of today. 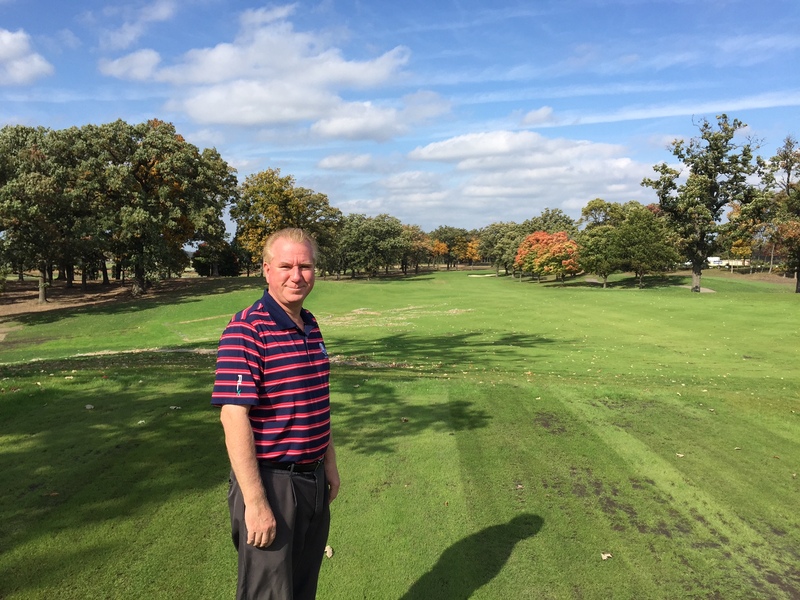 Ed Stevenson and his golf team have been hard at work getting all the golf properties ready for an exciting and fun season of golf. IN WISCONSIN.. The Bull at Pinehurst Farms has opened as of today. 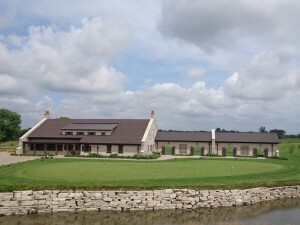 Golfthebull.com Whistling Straits in Haven/Kohler will open in less than 30 days. Destinationkohler.com. THE SCHAUMBURG GOLF CLUB is all open outside, 27 holes and the driving range. 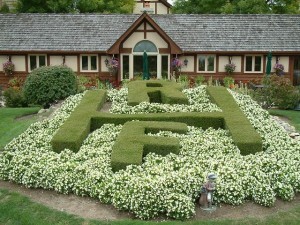 401 N. Roselle Rd, call (847)-885-9000. 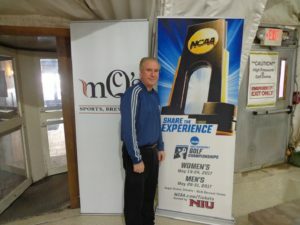 GM/PRO Jon Parson welcomes all the golfers back to Schaumburg. After golf enjoy Chandlers Chop House in the main clubhouse. Arlington Lakes GM Tim Govern will open Arlington Lakes early next week, but one of Chicago Top Par 3 courses is now open today, Nickol Knoll home of Payton’s Hill on the Northside of Arlington Heights. AHPD.org for details. RAVISLOE in South Suburban Homewood is now open as of Today. 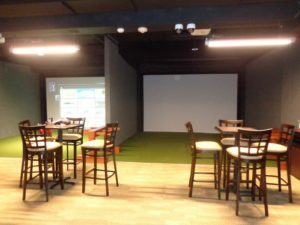 Director of Golf Brett Barcel has opened the Mt. 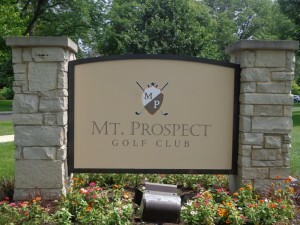 Prospect Golf Club for the season, go enjoy this classic style golf course (847)-259-4200 MPPD.org for details. Golf season is here, go enjoy. Golfers on Golf Radio returns Saturday April 15th 9AM. 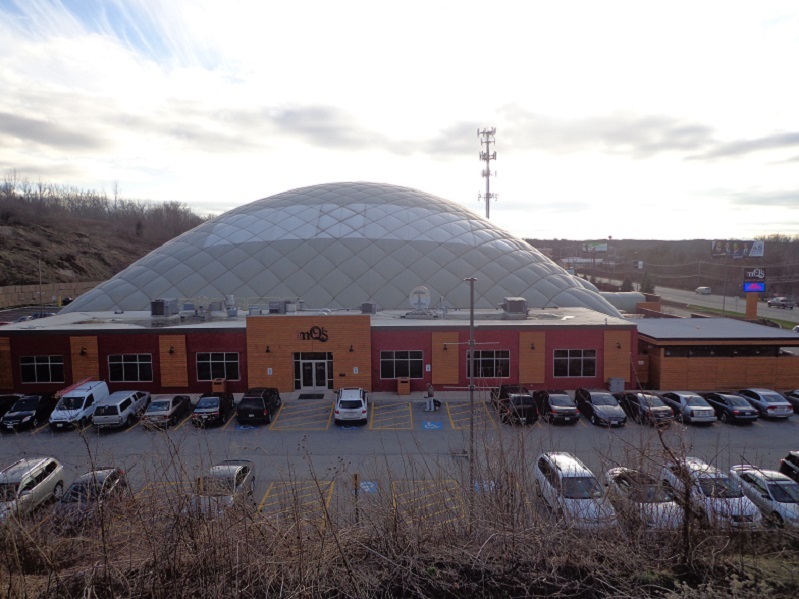 MCQ’s Dome is your place to get your game ready, warm weather will be here soon and you will need to go outside and play. So grab a lesson, get fitted for a new club or clubs so your golf ready when summer arrives. Mcqsdome.com or (630)-739-1592. THE GOG BLOG BY RORY SPEARS, EDITOR & DIRECTOR OF CONTENT Follow Rory on Facebook, Linkedin and Twitter @GogBlogGuy. YOU HAVE HEARD of Driver vs Driver, the Wilson Golf reality show on the Golf Channel, now there is Golf Ball vs Golf Ball. This contest won’t be decided on the golf course, it will be decided in a court of law. That, Titleist is, not only in nationwide sales but on various professional tours. While Titleist has several types of golf balls. It’s top seller is the Pro-V1 and Pro V1x golf ball that is considered by most golfers and professionals, as the best ball on the market. The biggest difference between the Costco ball and a Titleist Pro V model, is cost. At one point in 2016, you could buy a dozen Costco balls for $19.95, and through some promotions, get two dozen for $29.95. The Titleist Pro V line sells anywhere from the upper $30-something range to over $50, depending on where you buy the balls and whether the Pro V’s have a specific logo. Most of the year a dozen Pro V’s will cost you in most retail stores or pro shops, at just under $50.00 a dozen. 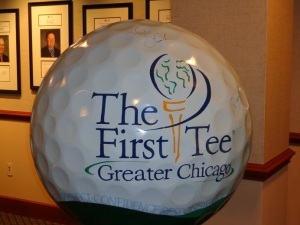 Currently, some golf courses in the Chicago area are doing a spring promotion with Titleist, one that has been run in previous years, where golfers get a FREE dozen Pro V’s with the purchase of three dozen Pro V’s at regular or full price. The current legal battle stems from Titleists parent company Acushnet, sending Costco a “strong letter” saying Costco had violated certain Acushnet golf ball patent rights in selling the Kirkland-Signature golf ball. Costco has responsed with a lawsuit filed in Seattle against Acushnet-Titleist. Numerous golf media outlets have requested comment, but have not received any response from either side. 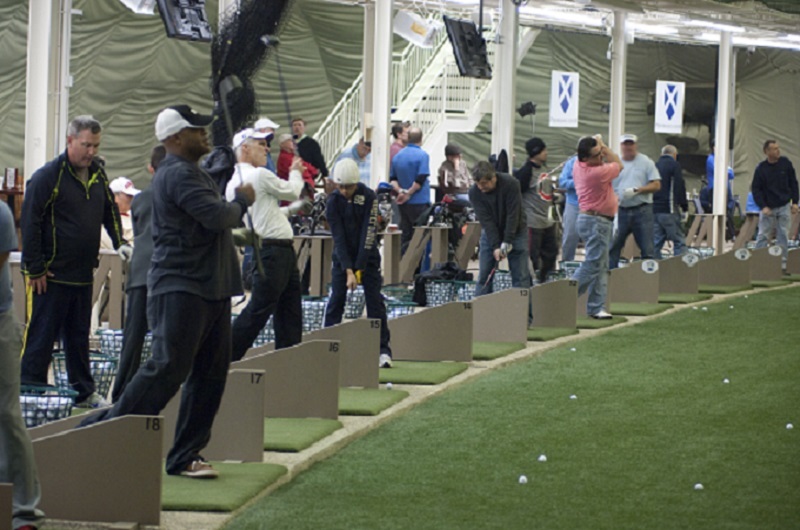 When Costco began selling the Kirkland Ball, and it began to receive strong reviews from those in the golf industry, the demand for Kirkland balls sky rocketed. Some reviews called their performance on the level of golfballs of the Pro V line. Costco has no history in making golf balls like Titleist does, Costco bought Kirkland-Signature from an overseas company that makes balls for other golf companies, including Taylor Made. 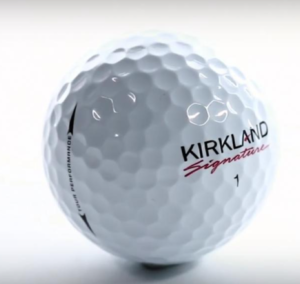 While Costco for the time being has taken the Kirkland Signature golf balls off it’s website, it would like to start selling them again in the future. At what price is unclear. Industry experts say that golf ball companies have applied for an extemely large amount of patents in recent years. Not only to protect what they already have, but to safe-guard themsleves and the path of where their R&D departments are taking them in the future. Many in golf have thought for a while that at some point, a company will find a way to make a golf ball on the performance level of the Pro V1 and Pro V1x, and will be able to sell it for a cheaper price. Now we wonder, has that day arrived, and will the answer come from the U.S. court system instead of on the golf course. Locally, Mistwood, Blackberry Oaks and Cog Hill have announced they are running the promotion of buy 3 dozen and get a 4th dozen of Pro V1’s or Pro V1x’s for No-Charge. Many other area courses will likely run the same promotion in the short future. The Gog Blog by RORY SPEARS, Editor and Director of Content.. Follow Rory on Facebook, Linkeidn and Twitter @GogBlogGuy. 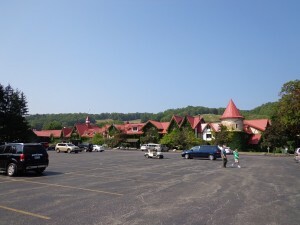 And to the French Lick Resort. Happy 100th to the Donald Ross Course. 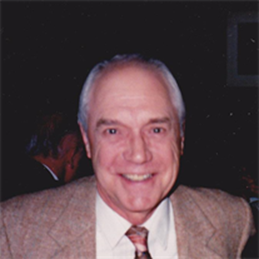 The Illinois Junior Golf Assocation has announced that, John Barney one of the builders of the IJGA has passed away at age 90. Mr. Barney and his wife Jean were cornerstones in bringing the IJGA from a fledgling operation, to being a top level junior golf organization. Mr. Barney passed away in Lake Zurich, late last week, surrounded by his family. John Barney worked with the IGA for 23 years, and later became it’s President and Ex-Director. John Barney and his wife Jean, were inducted into the Illinois Golf Hall of Fame in 1997. His obituary will be posted in the Chicago Tribune on Wednesday (Tomorrow). 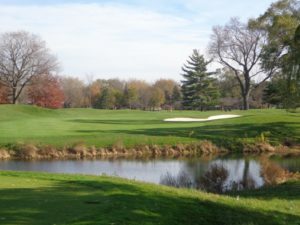 There is more information at the Illinois Junior Golf website IJGA.com. There is no information yet on where donations can be sent, but it is expected that the IJGA would be on any list of places recommended by the Barney family. I’m looking forward to days like this, where I’m tending the flag at Mt. Prospect Golf Club. The Gog Blog by Rory Spears, Editor and Director of Content. 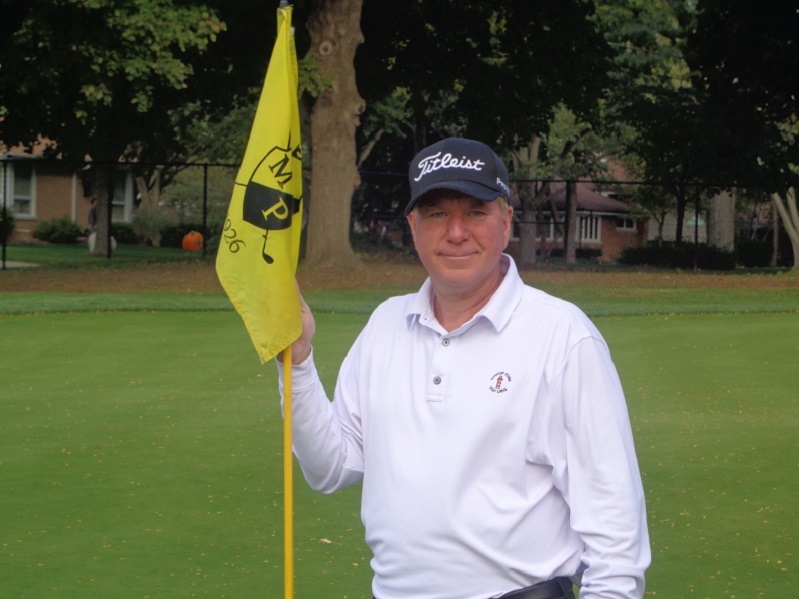 Follow Rory to the golf courses, and on Facebook, Linkedin and Twitter @GogBlogGuy. THE SNOW IS almost gone, even from my neighborhood where last week about 10 inches of snow fell. The good news is that some 905 of it is gone, and I expect the last 10% out of here in a few days. 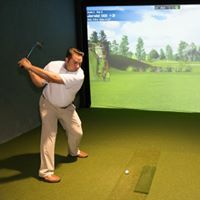 More good news is the bad snowy weather of last week, allowed our firends who have great indoor golf options to do a little more business before the golfers take it outside for the spring and summer. That being said, I would like to thank our winter sponsors who stepped up big in the cold and snowy months and supported our recent work. To Dan Phillips at Mistwood/MCQ’s Dome in Bollingbrook, a couple of my favorite places to hit golf balls year round. MCQ’s is also a great place to “pound the ponies” in the OTB, and watch Blackhawks Games, since MCQ’s is an official Blackhawks Bar. McQ’s new menu and the MCQ’s burger is really good. 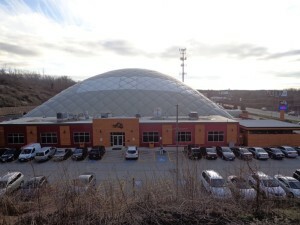 McQ’s Dome is located at 730 N. Bolingbrook Drive in Bolingbrook (RT.53) visit Mcqsdome.com or call (630)-739-1592. Thanks to McQ’s Dome for a great winter season. 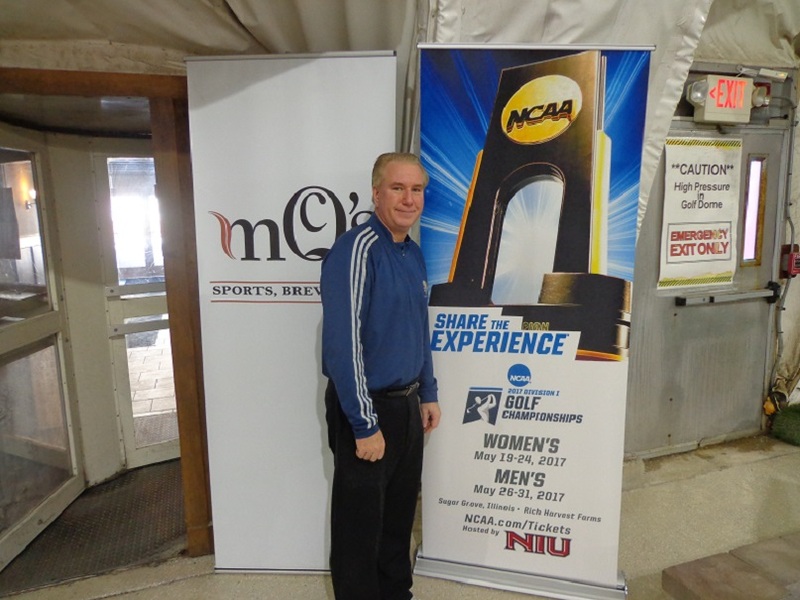 McQ’s Dome will be with us this week, and then we will soon be welcoming back Mistwood Golf Club located on Renwick Road in Romeoville. 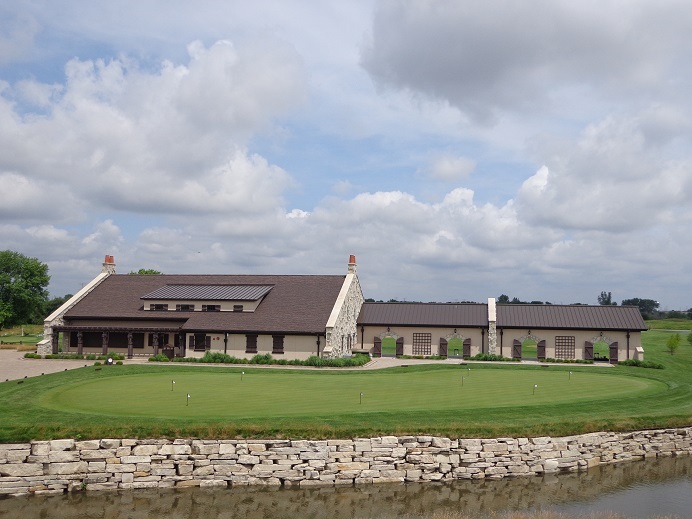 Home of McWethy’s Tavern and the Phil Kosin Illinois Women’s Open in July. Tonight at McQ’s you can watch the Chicago Blackhawks who are playing good hockey right now, taken on the struggling Colorado Avalanche. Schaumburg Gm Jonathon Parsons programs the new simulators. The new simulators at Schaumburg Golf Club, give the club year round golf atmosphere. Special thanks to Jon Parsons at the Schaumburg Golf for the clubs winter support of this website. 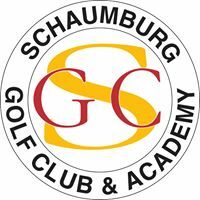 It will be a busy year at Schaumburg GC, located at 401 N. Roselle Road, starting June 5th, a 3 year renovation begins of all three nines and the practice area. On the food and beverage side, Chandlers Chop House at the club is a great place to drink and dine. For more infomration visit Schaumburggolf.com or call (847)-885-9000. 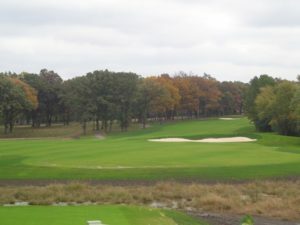 I’ll have more on the Schaumburg GC renovation in the months ahead, golfers should love the improvements they will see. It was with great sadness to learn of the passing of Janet Leach, who worked with the State of Mississippi and was in charge of bringing in golf media and people who could help pass the word that Mississippi is a great place for golf and more. Many of the golf writers across America got to know Janet over the years and all of us are better people for it. 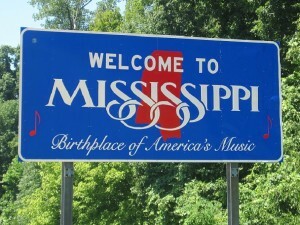 All of us had our eyes opened to golf on the gulf…Mississippi. I met Janet and golfed with her twice back in 2015 during a golf media trip there to the Gulf (or Golf) Coast of Mississippi. What a wonderful person, she was never given enough time to enjoy her retirement, but one thing is for sure. There will be plenty of golfers who will enjoy golf in Mississippi because of Janet. RIP Janet Leach. 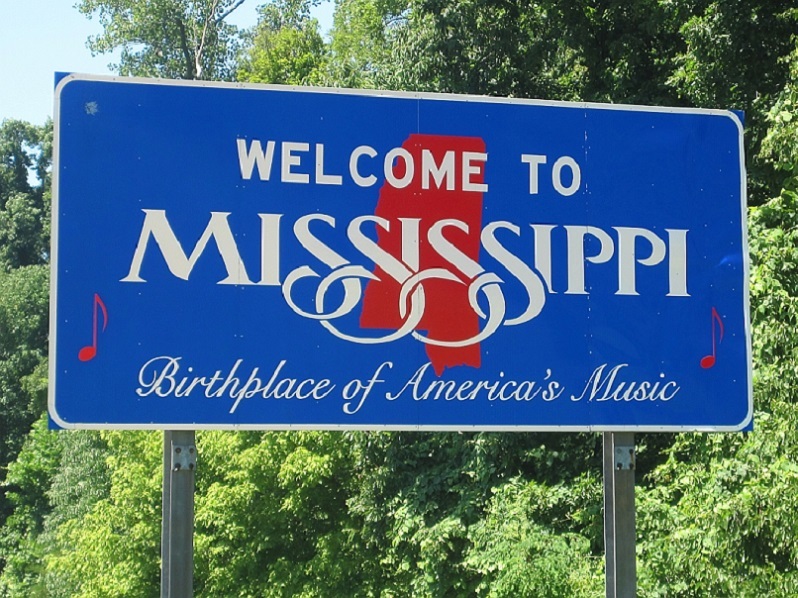 Mississippi has over 62 miles of coastline on the Gulf that runs between New Orleans and Mobile Alabama. 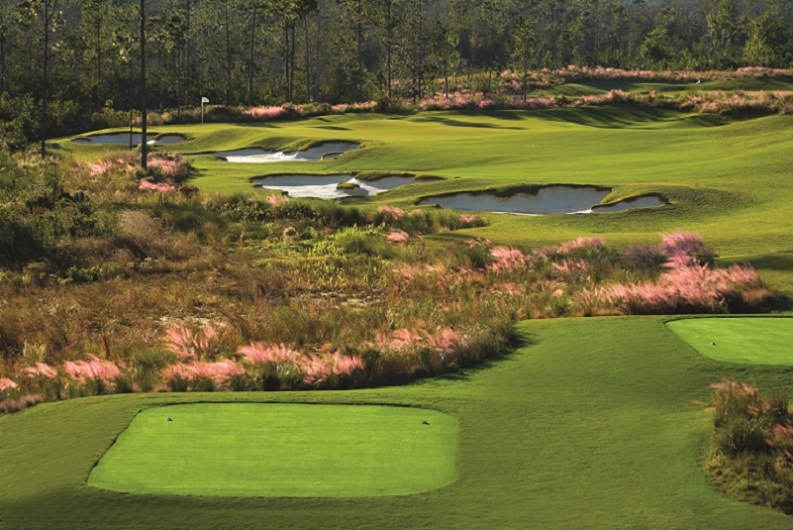 Mississippi’s Golf Coast has over two dozen courses designed by many of the top names in golf course design. The Par 3, 16th hole at the Preserve by Jerry Pate. 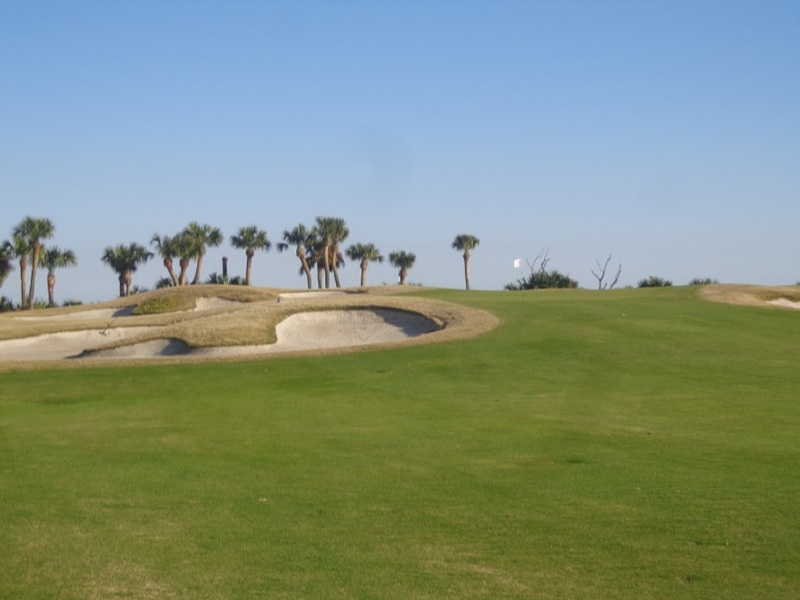 The Preserve by Jerry Pate is a must play down along the coastline. If you enjoy action on and off the golf course, Mississippi is the third-largest gaming destination in North America. The area has a dozen casino’s. But the gulf or golf coast has plenty do to if your traveling with non-golfers or junior golfers who can quite get in the casino. If your headed south for spring break, visit the newly launched website GolfCoast.com and look to play some of the great Mississippi gulf coast courses like Grand Bear by Nicklaus, Shell Landing by Love III, Great Southern Golf Club, built on land once owned by Confederate States President Jefferson Davis. 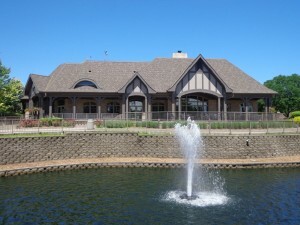 The Oaks Golf Club, Diamondhead Country Club and Windance Country Club. The Gog Blog wishes you happy spring travels as we get ready for the regular golf season opening of our local clubs and courses.